Rarely is my own throat sore from singing at a concert. Then again, I don't usually see the Heavy twice in one day. But after their brilliant Irving Plaza gig last August, I was damn sure gonna try. I missed Theophilus London earlier this year at Prospect Park, so I arrived at Afropunk Festival in time to catch his set. I probably should've stayed out by the food trucks. 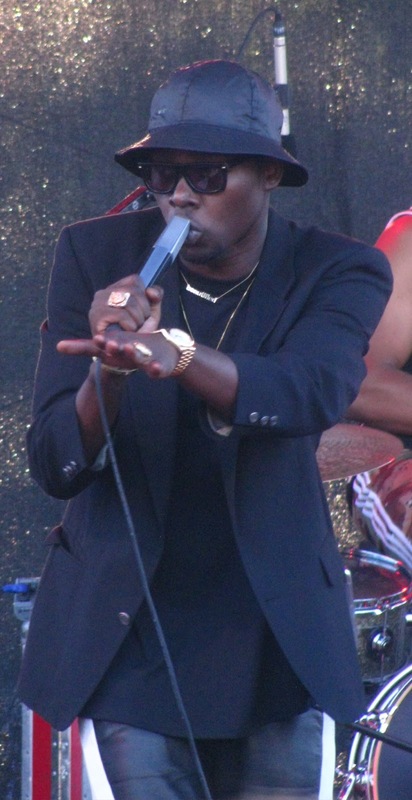 Debuting several songs from his upcoming Vibezz album, Theophilus seemed obsessed with making everything sound perfect, and abandoned most numbers midway through. Judging from his perfectionist qualities, it came as a bit of a shock to hear him say, "Let's get back to the human error, you feel me?" while expressing his distaste for loops. I guess no one told Mr. London about the guy onstage cueing beats through a laptop. At one point, he chucked a bottle of water out into the crowd, which struck a woman directly in the chest. She left, pissed off, while London motioned his stagehands for a replacement water. While the rapper does make some interesting choices production-wise, he is not a skilled emcee by any means. His voice is even duller than his flow, and he falls victim to several rap clichés. Take "Do Girls," a song in which he touts his ability to turn a lesbian straight, the kind of misogynistic braggadocio that too readily pervades his genre. London failed to really engage the crowd, save for "Jump," only thanks to its sampling of Ginuwine's "Pony." But that was okay because the next act was one that never fails to ignite an audience: the Heavy. They ran through three tunes before sunset, "Can't Play Dead," "What You Want Me to Do?," and "Sixteen," each enhanced by a three-piece horn section. "Looks like the sunshine's disappeared," remarked lead singer, Kelvin Swaby. "We're not happy about that. You want some more sunshine? Let's bring the sunshine in," he said, setting the stage for the reggae vibe of "Cause for Alarm." "Short Change Hero," started a string of audience participation, first for "the devils," a term for longtime Heavy fans, and then the entire crowd howling on "The Big Bad Wolf." You could feel the tremendous energy in the park, but it wasn't enough for Kelvin. "Is it inappropriate for me to say, 'Would you guys like to join us for the rest of the set?'" he asked before instructing the call-and-response of "What Makes a Good Man?" The two female backup singers outshined the crowd on that one, but we gave it our all. "Same Ol'" utilized the audience yet again, and Kelvin invited a young girl onstage to dance. "At 10:00 tonight, we've got to go over to the Brooklyn Bowl and play some more," Kelvin announced. Over "Brukpocket's," he questioned each side of spectators, "Do you like the Heavy?" Satisfied after a few rounds of escalating cheers, Swaby added, "See how much you like us now," and they charged into "How You Like Me Now?" Everyone leapt into the air, the Afropunk crowd a raging sea of multicolored bodies. As Swaby had mentioned, they had to go to Brooklyn Bowl and play some more, so I hopped on the B62 to Williamsburg. They took the stage later than anticipated, and the two backup vocalists didn't make the trip, but I had no worries. 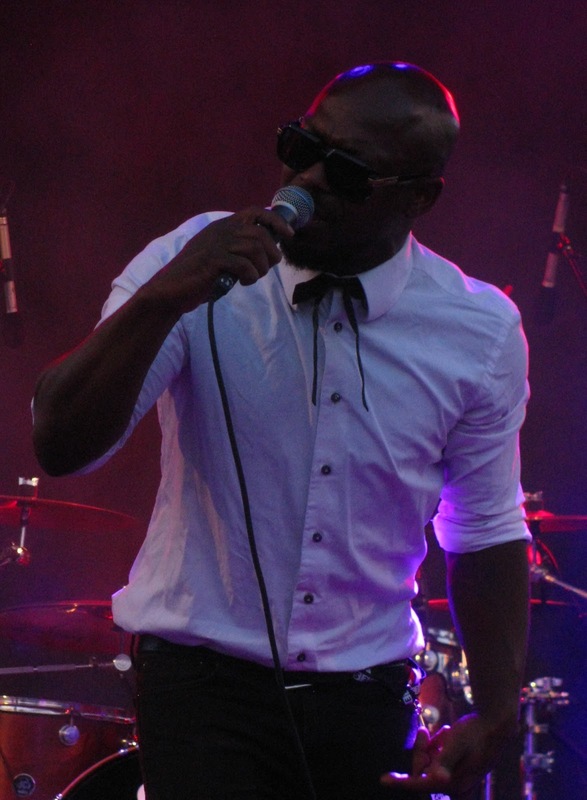 "Come on, move forward, you fuckers," Swaby encouraged the slim crowd. The show had only been announced 24 hours prior, and a large number of music fans were still at Commodore Barry Park to find out who the special guest would be (If anyone knows who it was, please comment below.). Transitioning from the large festival masses to the less-than-packed Brooklyn Bowl, the Heavy decided there was only one way to go: even harder. The setlist started exactly the same, but Kelvin was even more animated, leaning over the stage's edge to sing directly into fans' faces. The stage must've been built with straw or sticks 'cause it couldn't hold Swaby, who exploded out into the crowd for "The Big Bad Wolf," holding his mic in the air to catch the howls. He climbed back onto the platform at the end and took a moment to regain his breath. A woman in the front requested "Stuck," but Swaby didn't want to jeopardize the momentum he'd created, so "What Makes a Good Man?" followed. 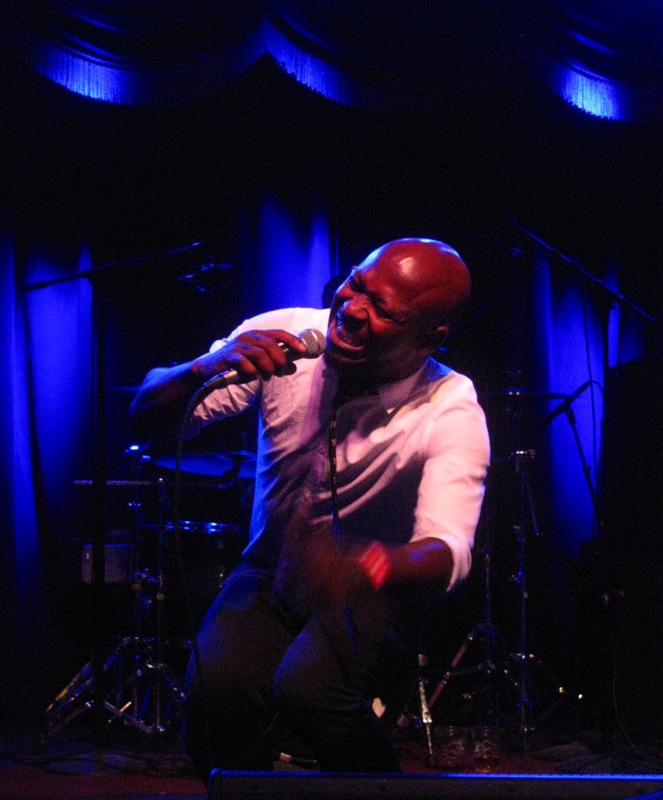 While the backup singers were missed, the crowd was finally participating to Swaby's liking. "Brooklyn Bowl, who would've thunk it?" he marveled. "A Lesson Learned" was a nice, stompy deviation from the Afropunk setlist, and then Kelvin polled the audience: "You want slow or fast?" I may have been the only person voting for slow, as I was hoping for "Curse Me Good," but fast won out with "Just My Luck." "How You Like Me Now?" closed the show again, and if for some reason it hadn't been obvious earlier: We like the Heavy. We really, really like you. Can't Play Dead / What You Want Me to Do? / Sixteen / Cause for Alarm / Short Change Hero / The Big Bad Wolf / What Makes a Good Man? / Same Ol' / Brukpocket's Interlude / How You Like Me Now? Can't Play Dead / What You Want Me to Do? / Sixteen / Cause for Alarm / Short Change Hero / The Big Bad Wolf / Stuck (tease) / What Makes a Good Man? / Same Ol' / A Lesson Learned / Just My Luck / How You Like Me Now?